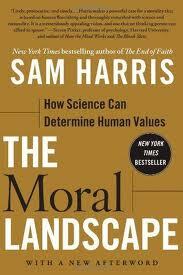 Two friends and I recently committed to reading Sam Harris’s very insightful new book, The Moral Landscape: How Science Can Determine Human Values, 2011. Would you like to join us? It would be great to have your comments on the book as well. As we read, we are each identifying key statements we agree with, and statements where we disagree. As I am an evolutionary developmentalist, one who thinks our universe is engaged in mostly unpredictable and divergent evolutionary processes, but at the same time, a few predictable and convergent developmental processes, it will be an interesting read. Most scholars, Harris included, advocate the standard evolutionary theory, which mostly ignores concepts of long-range developmental change, either in life on Earth or in the universe as a system. Yet we see many apparently irresistible trends in economic and cultural development in our societies as they complexify (for example, increasing personal rights and freedoms, increasing evidence-basedness, etc. ), and a multi-billion-year record of accelerating complexification in our universe. We are also faced with the possibility of a coming technological singularity, perhaps even this century, and we can think of such events in both evolutionary and developmental terms. So our disagreements should be interesting. There is an arrow of moral development. Some social practices are inherently more moral than others, and can be agreed and measured as so. There is also moral evolution. At any time, a number of ongoing moral experiments are being run, which aren’t measurably better than each other, just different. Questions about values, meaning, morality, and purpose can be researched scientifically, and some agreement can be reached by evidence-seeking people today in each of these areas. As data and science advance, moral opinions, particularly in developmental areas, will be increasingly constrained by facts. Yet experiments and uncertainties will also always remain. They are central to evolutionary process. How a person perceives the gulf between facts and values influences their opinion on almost every issue of social importance. We must know our values, look for facts, build bridges with reason, know the limitations of reason, and have tolerance with ambiguity. Stephen J Gould’s concept of science and religion as non-overlapping domains is false. It is a temporary political compromise, much like Don’t Ask Don’t Tell. Challenge it. Both science and religion speak to values, in very different ways, and so are often in conflict. We can imagine a hypothetical space called the moral landscape, whose peaks correspond to well being or progress, and whose valleys to suffering or regress. There are usually exceptions to every moral rule. Yet these exceptions do not take away the objective rightness of the rule. Example: Kindness is usually more conducive to well-being than cruelty. David Hume was wrong when he said no description of the world can tell us how to behave. What Hume missed was that our morals need to be in harmony with individual or universal progress, and ideally both. The better we understand the way humans and the universe typically evolve and develop, the better our thoughts and behaviors can aid and align with universal progress. The concept of well being, and progress, is like concept of physical health. It defies precise description yet is indispensable, and can be approached scientifically. A scientific account of human values is not the same as an evolutionary account. Evolution has much contingency and happenstance in it. But a scientific account of values could be fully described as an evolutionary developmental account, if we live in an evo devo universe. Different opinions have differing value. We may try to equally value all opinions, but some we value more (expertise), and others (novices, psychopaths) we discount. Just as there are objective differences in the health of primitive and modern societies, there are objective differences in their well being and progress. There is a lot of valuable, desirable evolutionary diversity between various modern societies. But there are harmful and undesirable developmental differences too. For example, anonymous and toxic cities, plutocracies, autocracies. There are clear examples of better and worse developed and developing societies. It is possible to believe and to value the wrong things. Both beliefs and values are amenable to reason and evidence to some degree. We must occasionally experience some pain, harm, or unpleasantness, to avoid greater pain, harm, or unpleasantness at a later date. Religious or ideological dogmatism, not listening to reason or evidence to revise ones beliefs and values, is a chief enemy of well being and progress. Strongly disagree. There are today many flavors of moral experiment, and also ever more over time. Not so. This ignores the way our intuition guides our faith. Even the athiest has faith in their unbelief. Faith is critical where evidence does not yet tread, yet should also not be overused. Disagree. Diversity is “right” for its own sake, and much, often most, is either adaptive, or pre-adaptive experimentation. There is no one right answer with any evolutionary experimentation, only with that very small subset of evolutionary experiment that turns out to be development. Disagree. Religion will become far subtler and reform, but will always remain. I believe AI’s will have their own religion. I also believe it will be far subtler and more evidence constrained than ours. We should seek to be neither theists nor athiests but agnostics. To gently challenge the certainty of others theisms and athiesms, and to move them into possibilianism. Theism and athiesm will always remain, but we can help all who have extremes of belief and nonbelief to become more evidence constrained. Disagree. Memetic evolution and development are still evolution and development. Ignore them at your peril. Strongly disagree. Memes are both evolutionary and developmental. Memetic progress, both evolutionary diversity and developmental advance, seems to be occurring in many systems, via multi-level selection. We can observe memetic evolution and development at the individual, group, species, and planet levels, at least. Disagree. As social wealth grows, there will be opportunity for increasing memetic insulation of disagreeing groups (some of which will be harmful and less adaptive to the insulated group). I think you underestimate both the coming magnitude and the effect of accelerating wealth. I expect a lot more diversity of belief among subcultures, but at the same time, more reform and more evidenced-based agreement among all of them.